Posted on September 26, 2016 at 10:30 pm. Like most industries, a successful sawmill utilizes the best possible equipment, and is run by the most knowledgeable and skilled employees. Accomplishing this is no simple task, however. There are generally phases to design and build a sawmill and each one requires a level of professional knowledge. 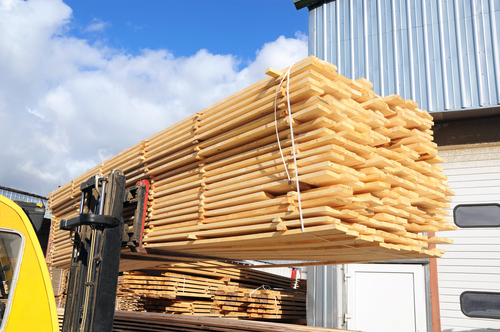 Because sawmills process wood and related materials, there is a certain amount of uncertainty involved in their business; the growth and availability of materials can vary and mill owners much be prepared for this. A mill must be designed to manage sudden overflow of incoming wood and outgoing product, but not put so much into the mill that it’s overstuffed and a large percentage goes unused during slow production periods. An outline and model for the mill should include some flexibility to meet fluctuating market needs and product availability. The absolute best and most expensive equipment is a nice benefit, but it’s not necessary. What’s better is the right equipment for the job—to calculate as closely as possible what machinery is absolutely necessary. This element of the design is directly related to the issue of market and production fluctuation; the machinery should be able to handle times of high demand, but not be a waste when production is slow. Of course, safety is paramount. A sawmill is a collection of potential dangers and safety regulation for employees isn’t enough to prevent incidents. The safety precautions must begin at the mill’s conception. Aisles must have room to move, but additional space may be helpful to aid in preventing incidents. Equipment should be positioned carefully to accommodate the product and the people operating the machines. Even a professional needs some help to build a sawmill; conception, design, and construction are all complex processes that are best done as a collaboration. At BEP Engineering Services, we work with you to make your ideas come to life. Posted on August 16, 2016 at 7:46 pm. 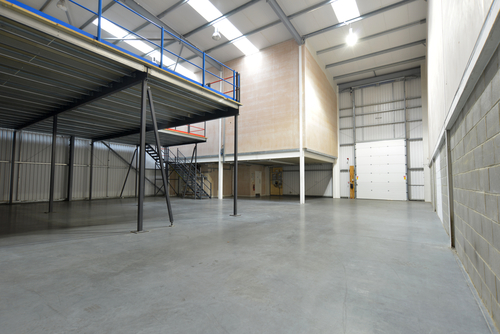 A mezzanine floor in your mill could be the optimum way to make use of your facility’s space. It can be almost any size, and be placed in almost any area of the room. It is also relatively easy to add to a mill’s design and installation; some styles can even be taken apart and reused as facility undergoes changes. Mezzanines can be made to match your mill’s appearance, including floor type, and overall colors and materials. A certified mezzanine floor could be precisely what your mill’s design needs. Mezzanine floors can accommodate your facility’s daily needs with shelving, product storage and handling systems, loading and unloading access for employees and equipment, and much more. Platforms for product lifting can make moving and storing products and equipment easy. These efficient applications can be anywhere you need them, from the wider work area, to storage rooms, offices, and other functioning rooms and areas of your mill. Generally, the mezzanine is placed above the ground floor, overlooking part or most of the room, or area. Sometimes, there can be more than one mezzanine, both accessed by stairs and rails for those on foot, and by forklift for those moving product via equipment. If there are two floors, they may be connected. When the floors are used for storage, they can be optimum for things not utilized on a daily basis. You may also install a moving platform, as well as a pallet gate, or open space in the rail to make the lifting and lowering of items and people even easier. On occasion, the mezzanine floor may be turned into an office so that management may oversee all of the daily operations. If a mezzanine floor sounds like something you need at your mill, then you need engineers who can properly implement it into the design, and make sure it’s certified. That’s where we at BEP Engineering comes in. Contact us today about how we can help you with your mezzanine floor design and certification, and much more. Posted on July 8, 2016 at 2:52 pm. Economically, engineering services can be costly. There is a wealth of engineers from which to choose, all over the U.S. and Canada. Yet, states, counties, cities, and other areas have their own requirements when it comes to design and construction of mills and other facilities. Local civil engineers have the advantage of this specific knowledge, as well as other beneficial qualities. Plans and Design: Plans must be created that suit the location. Any plans—enhancements, expansions, entirely new structures, etc.—a local engineer can best provide, designed specifically for the landscape. This particular knowledge can be invaluable to any project. Elements such as waste disposal and water drainage systems that must adhere to local health standards, criteria for wall construction, zoning, electrical wiring, landscaping, and other features that must meet certain standards. This means higher likelihood that any necessary inspections will be passed, and certifications and permits acquired. Costs: A local engineer understands costs involved in local projects. A national, but non-local engineer making estimations based on research of an area with which he may not be entirely familiar could drive up costs, and mean complicated changes or negotiations later. Someone local can offer you more accurate, competitive quotes. Of course, local engineers can also provide better oversight during the course of the project; it is much easier to do so because they are within a more reasonable distance. At BEP Engineering Services Ltd., we contract general engineering and industrial architects for all your local needs. We work with our clients to bring together the most qualified people for the best possible designs. We have a range of clients and have significant experience with planning modifications and entirely new facilities, and making certain projects are prepared to run smoothly. If you need local engineers, we can help you obtain the absolute best. Posted on June 15, 2016 at 2:19 pm. If your project calls for someone to engage in soil and other environmental investigation and reporting, you may need an engineer with geotechnical certification. BEP Engineering Services can help you put together a team to get your people certified for your project’s needs. Geotechnical certification is a voluntary, optional certification provided by the American Society of Civil Engineers. The requirements for these certifications vary depending upon how much education and direct field experience an engineer has had, and what he or she wants to do with the accreditation. The requirements may be a four-year degree, years of practice in the field, and even postgraduate study. Generally, this certification also makes an engineer more competitive in the job market. There are four levels of certification in geotechnical engineering. The first level is for entry-level engineers and those in training who only perform under regular supervision, and are only allowed to perform certain tasks. Engineers working on the second level have daily supervision and perform the most common tasks. Third-level engineers are considered intermediate, and may operate with some or no supervisions, while fourth-level individuals have no supervision and often supervise others. To achieve the higher certification levels an engineer must either be certified already at a lower level, or meet certain education and experience standards. The purpose of geotechnical certification is an opportunity to keep engineers’ knowledge up-to-date and learn the current, leading technologies associated with soil examination. Certified engineering technicians investigate a site’s environment before and during any construction, or at any exploration, or laboratory site. Certification includes education in common soil classification, construction, laboratory tests, field tests, or reports. An engineer can specialize in a subfield, such as construction, or be certified as a generalist with experience in all areas. At BEP, we can help you get your engineers and your project certified. Call us today to find out how we can help you with certifications, or with other elements of your facility and project. Posted on May 23, 2016 at 1:11 pm. Dust collectors are systems used to maintain the air quality of plants and other facilities. They help keep machinery and equipment clean, recirculate the clean air, and recover dusts that need to be kept after processes are complete. To properly operate these systems, permits must be acquired and the systems must be certified. Dust collection system designs can be customized to suit a facility’s needs. They can collect the waste to be reused or recycled, extract residue for clear air, control air quality, provide safety aid, and make air waste disposal easier. All of these functions are essential for facility health and safety standards. Not only is indoor air contaminated by particles dangerous, but the EPA requires that outdoor exhaust be in compliance with specific safety standards. 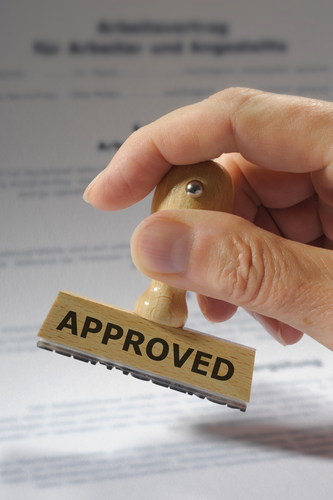 The process to test and acquire permits can be lengthy and tedious. If the air is not channeled outside, then the company must adhere to OSHA standards, which are focused on indoor air quality. Whatever the systems used or the type of particles your system filters, plant owners and engineers need to know the details of safety and operations in order to ensure inspections are passed, and systems are certified. They must test and monitor the filter, emissions, maintain the system to prevent incidents, and continue to meet required standards. They must also understand how recirculation and return air configuration processes function. All this requires a solid understanding of the dust collection system and its filtration control, particularly fire, explosions, and other safety hazards, as explosions are a very serious risk. At BEP Engineering Services, we can help you get your system certified for dust collection and air quality control. We can also help you prepare help you get the permits you need to continue your work without hindrances. Just contact us with your needs and let us help you with your facility’s dust collection certification. Posted on May 9, 2016 at 1:22 pm. Whether you are building a new facility or revising the original, you need to make certain that your material handling equipment is equally up-to-date and suitable. If you are in the process of designing and constructing a plant or mill, and you find yourself in need of new material handling equipment, here are some things to consider. Optimum Use of Space: Your instinct may be to figure out what you need and purchase the biggest and best. However, during design you and your engineer will determine how much space is required for each element of production, including storage, production, and material handling. The square footage reserved for material handling will be affected by whether it is open spacing, or consists of shelving and rack systems. All this affects what type of equipment you will be able to use. You should factor in your preferred material handling equipment in the very first stages of design. If your plans do not support the equipment you feel you require, or if you decide you simply must have a specific type, then you and your designer will have to reconsider those schematics. Material Type: The materials to be handled at your mill will also determine the type of equipment you require. Choosing the optimum equipment for your materials will lead to more efficient production. An experienced mill engineer can help you choose the right equipment and they will usually be able to create the most practical material handling solutions for you to help you avoid bottlenecks. It is important to put as much effort into selecting the best possible material handling equipment for your facility as you do any other detail. The best equipment improves plant and mill processes through efficiency, and is the safest option for material handlers. At BEP Engineering Services, we can help you select the right equipment during mill design. Because we do not sell the equipment, we are unbiased and able to get you sharp-pencil-pricing from vendors. Contact us to discover what we may do for you in design and modification of your plant, mill, or other facility. Posted on April 20, 2016 at 10:42 pm. Industries require competent material handling by certified professionals who can safely move, store, and dispose of materials during industrial processes. Material handling calls for the utilization of various complex systems and equipment, and certification helps make certain that personnel can operate all details of handling effectively. Material handling is more than operating machinery; an effective material handling arrangement affects an industry’s processes, including manufacturing, transportation, distribution, service, and much more. The range of equipment and technology required in handling must be understood and managed properly. There is a variety of automated and manual equipment required for material control, movement, storage, etc. ; industrial robotics, automated systems, conveyors, lift trucks, and more are all parts of handling for different industries. The methods for handling in industries and facilities are as standardized as possible to prevent daily processes from being impeded. When an industrial business requires certified professionals as part of their project design, BEP Engineering Services Ltd. aids in constructing an appropriately certified team by providing the professionals who handle the facets of certification. Material handlers must understand and adhere to certain practices, which help guarantee that all equipment and procedures in the facility function properly and safely. The certification process instructs potential handlers in the equipment, systems, and guidelines for safe and effective operations. Academic institutions and professional organizations offer a variety of certificates and certifications, in the various categories and features of material handling. Rather than focusing on an expensive, all-inclusive educational degree, these programs allow the company’s employees to pursue their area of specialized technical interest and put their education to use immediately in the industry. BEP Engineering Services, Ltd. offers assistance with a company’s engineering certification needs. We provide services for a selection of certifications, including, but not limited to, mechanical, civil and structural, and geotechnical engineering. Whatever your industrial design project, we can help you get your employees certified to create a knowledgeable, professional team. Posted on February 10, 2016 at 2:50 pm. There are several advantages that come with using a pre-engineered building for a project, regardless of its size. That being said, let’s take a look at some of the main benefits of doing so before you tackle your next operation. BEP Engineering can erect a pre-engineered building in far less time than a traditional on-site constructed building. All materials are fabricated, cut to length and pre-prepared in a controlled environment to be shipped to site and quickly erected. In the time it takes for the materials to be prepped, the foundations can be poured in parallel reducing the overall time it takes to install a new building. 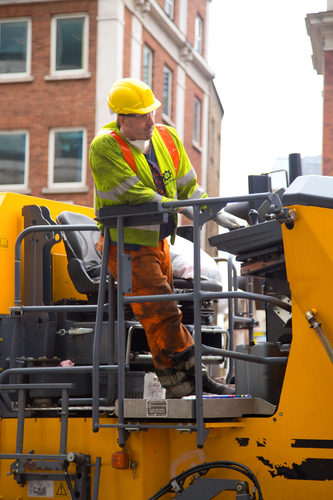 This also reduces the safety risk as less work and time is spent on site. If you’re working with a company like BEP Engineering, you can be sure that creating a floor plan for a pre-engineered building is quick and easy. Furthermore, you can ensure that you’re using all of your floor space efficiently. BEP Engineering ensures that you’re getting a top-quality pre-engineered building when you sign up to work with the company. 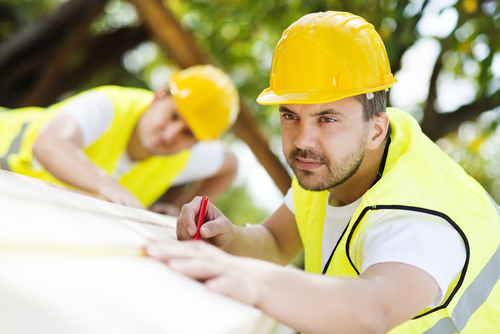 Our experts are designed to make professional-grade structures for any job. The buildings are designed and certified for seismic loads and environmental requirements as well. Operating costs for pre-engineered buildings are generally lower compared to the alternative. If you have a tight budget, this may be the ideal option for you. To learn more about how you can design and construct a pre-engineered building for your project, contact BEP Engineering today. Posted on January 20, 2016 at 5:13 pm. BEP Engineering Services announced a partnership with Brunner-Hildebrand, the timber drying kilns leader, back in November 2015. Now, the company offers a wide range of Brunner-Hildebrand products to suit the needs of its forest industry clients. Brunner-Hildebrand is the original leader in the dry kiln market. Since 1960, the company has installed more than 15,000 dry kilns worldwide. Quality and longevity of our kilns are legendary. Innovation is the company’s passion and has been the pioneer in the continuous kiln field by introducing the world’s first continuous dry kiln in 1975 – 40 years ago! Let’s take a look at some of the different types of kilns produced by Brunner-Hildebrand and their features. Over time we have installed over 50 continuous kilns in various market sectors that include forest products, food products, cement fibre boards, paper products, etc. More recently Brunner-Hildebrand has re-introduced a new version of the continuous kiln that incorporates the “GreenKiln” design. The 2016 version Hildebrand Continuous kiln is called the Alexander HCK – the drying technology is highly suited to production softwood mills seeking to improve KD productivity, increase appearance grade lumber and optimize cost efficiency. The drying system benefit from the continuous availability of lumber without long loading and unloading times. The drying is integrated with the logistics of the mill without the need for a great deal of additional storage. In addition, the mill can achieve thermal & electrical savings, improved lumber grade, reduction in emissions and bring the lumber product quicker to market compared to conventional kilns. The Hildebrand Alexander HCK Continuous Kiln can be adapted to any heat source and configured for hot air, hot water or steam heating mediums. These new kilns from Brunner-Hildebrand are designed to reduce the impact of equipment on the environment. Some of their features include vents that work in sync with the conventional drying system and the use of reservoir heat during the cool-down process. The progressive kiln from Brunner-Hildebrand is especially helpful for large sawmills that have a continuous high turnaround of similar timber species, as well as little variation in final moisture content. The kiln is designed with special walls for quick assembly and the utmost durability. It can also be customized to promote lateral air flow or lengthwise air flow, and it comes with radial side fan options. This dry kiln is available with a stacking width up to 56 feet and track lengths up to 100 feet. Its most popular door design is the sliding lift door, which can be easily and quickly opened when needed. The standard HTS kiln model is designed for loading packages in various lengths. It is available for both package and track loading, and kiln chambers can be added later for more versatility. This model comes with a heat pump, and it has a capacity from 10,000bft to 25,000bft. No boiler is necessary, and it can be transported by truck if necessary. Additionally, Brunner-Hildebrand has the kiln available for rental. All of Brunner-Hildebrand’s kilns are made from aluminum or stainless steel, and are designed to meet the seismic and environmental conditions of the mill location. They also manufacture their products to meet International Plant Protection Convention requirements. To learn more about what types of kilns you can purchase through BEP Engineering Services, visit the company website. Here, you can also find additional information on how Brunner-Hildebrand’s kilns can benefit you on your job site, as well as which BEP Engineering services may work for you. Posted on December 28, 2015 at 9:48 pm. The year is quickly winding down and 2016 will be here before we know it. As you look for means to create efficiencies in mill operations and brainstorm ways to generate more revenue in the New Year, don’t forget about what your team at BEP Engineering Services can offer you. Professional Mill Engineering. Let us review your equipment layouts and flow of your plant to offer suggestions for improvement. We may find that simple redesign and modifications to existing equipment can create efficiencies and reduce your costs. Dry Kilns. We’re partnered with BRUNNER HILDEBRAND, the pioneer and industry leader in dry kilns, to bring you their innovative drying technologies. These include conventional kilns and a wide variety of continuous kilns to meet any drying need. Dust Control. Help your employees to work as efficiently as possible, minimize equipment maintenance, and reduce risk of fire when you get dust under control. At BEP Engineering Services, we offer Agglomerative Dust Suppression Systems to help you meet these goals. In closing, know that we at BEP Engineering Services stand ready to help you gain a competitive edge and ensure customer satisfaction in order to boost your business in the New Year. Contact us to discuss your needs, and let’s get a plant modernization plan in place for 2016.